Emergency Medical Technicians (EMTs) are required to provide urgent medical support to people who are injured and critically ill, and transport them to a medical facility. 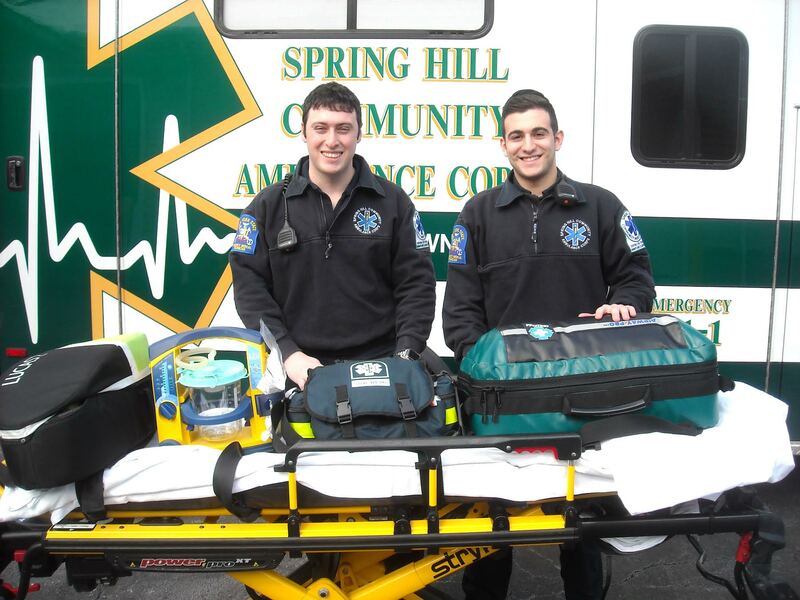 As first responders in an ambulance service, EMTs are dispatched to the scene of a crisis. This can be anything from a car accident, a fire, a falling injury, a birth or a person who has suddenly fallen ill. The Powered Ambulance cot reduces the strenuous lifting and risk of back injury for the EMTs. The powered hydraulic lift raises and lowers patients with the touch of a button. The retractable head section allows the cot to be shortened in any height position. Patient handling on stairways and other tight spots come with a potential for back injuries that come from repeatedly moving patients. Narrow or winding stairs put emergency personnel into awkward positions and place stress on back and shoulder muscles. Lift-chairs come with a track device that allows the chairs with patients to glide down the stairs, eliminating the need for personnel to lift and carry the patient’s weight. When EMTs arrive at the hospital, the care of the patient is transferred to the nursing staff or trauma team and a report is prepared anticipating what the nurses are going to ask. If the EMTs take an organized approach when transferring the patient to the nursing staff, they can assure the quality and continuity of care and improve the chances of favorable outcomes for the patients. The communications from the EMTs to the hospital staff enables arrangement for a bed, respiratory therapist, x-ray and a warming blanket. Having patience with the nurse who’s taking the report is a requirement for a quality transition of care. For additional information about volunteering, call 845-354-0618 or visit www.springhillems.org.